With the help of his mom, Jay-Z created a scholarship foundation under his real name, Shawn Carter. The award is merit-based and given annually to those with financial need and outstanding community service records. When a beauty school student started a crowdfunding page to pay for tuition, model Chrissy Tiegen donated the entire amount. Before Tiegen intervened, the student had only raised around $500 of her $6,000 goal, and the future esthetician credits Tiegen with helping her achieve her dreams. Ellen gave tuition to not just one student on her daytime talk show, but a whole class of them. In February 2017, she gifted the entire senior class of Summit Academy four-year full ride scholarships to the New York state schools of their choosing. 41 students from the charter school in all received in the scholarship. To help a fan pay off her student loans, Swift sent a care package with a whopping $1,989 attached. The amount was a reference to Swift’s 2014 record “1989,” and the fan quickly took to social media to pay thanks to the singer’s charity. James gives back to his Akron, Ohio, community by offering scholarships to local students looking to go to the University of Akron. 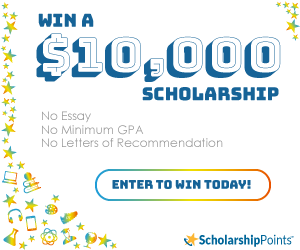 The scholarship covers all tuition expenses for all four years of study and is awarded to students who grew up struggling financially and would otherwise have little opportunity to afford a college education. The founder of Microsoft has so much money that he offers 1,000 scholarships every year to American minority students with outstanding academic performance. The Bill and Melinda Gates Foundation covers all costs of attending both undergraduate and graduate school, particularly for those in STEM (science, technology, engineering, and math) fields. Oprah is known for giving out free cars on her talk show, but she also gives out full ride scholarships for select Morehouse College students. Her scholarships have helped hundreds of students excel in their studies, and many of them have returned the favor and given back to their communities as a result. Like her or not, it’s hard to say Yoko Ono is all bad. Since 1997 she’s given scholarships to musically-inclined students through the John Lennon Scholarship program, and its aid has gone on to help many students make a successful career in the music industry. When she was only 19 years old, Banks began helping pay tuition for students looking to attend Immaculate Heart High School, an all-girl private prep school in Los Angeles that prides itself on its high college acceptance rate and the long list of college scholarships its students typically receive. The British actor says he frequently gets letters from fans recounting their financial struggles, from not being able to afford rent to not being able to pay for drama school. Because he was once a starving artist himself, he occasionally gives back and helps some of these fans in need.